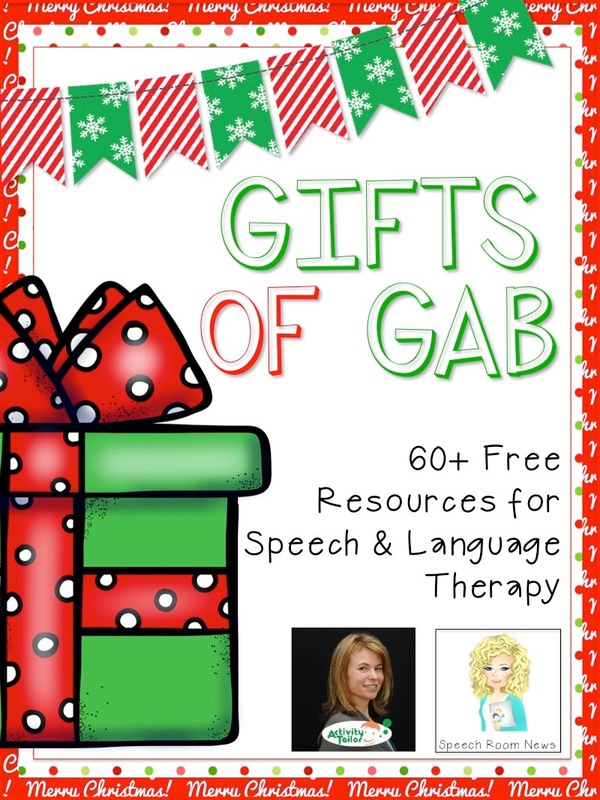 Speechie Freebies: 2014 Gifts of Gab ebook! Over 60 SLP elves have been hard at work assembling an ebook of freebies for you to use this holiday season! To access the freebies, simply download the entire ebook and start browsing. Once you see an item of interest, click on either the cover icon or title of the product and it will take you directly to the download page. If you download, please consider following their store or leaving feedback as a thank you! "Wow, if ever a person needed a resource to discover TpT sellers who target speech, THIS is it. Thanks to all who shared their work and to those who put it all together. This is terrific, like a Christmas present for any SLP who works with children." "This is incredible!! Thank you so much to all of the individuals who "gifted" their time to us during the Holiday season, we really appreciate it! This is an organized, fun, & wonderfully helpful resource :)"
"An amazing resource for the busy SLP - especially during the crazy holiday season. Wonderful recommendations as well as a wonderful way to discover TPT sellers who are SLPs."